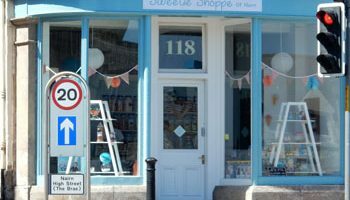 We are situated by the pedestrian lights on the A96 and are very proud to offer traditional Scottish Handmade Sweets and fine Chocolate. There is an exciting and wide range to choose from – Lucky Tatties to Soor Plooms. 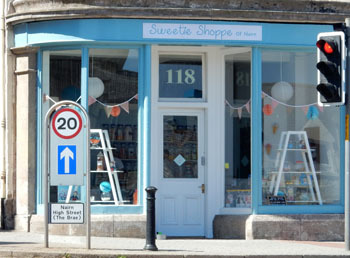 We hope our range will bring back lots of happy childhood memories and look forward to welcoming you to the Sweetie Shoppe of Nairn.